For the 1951-1952 school year, and the family moved to Coram in June 1951.It was a tough winter for Helen; Eldon worked for H.F Green in Spokane that winter, so Helen was afoot from home to the school and back home every day besides having to take care of Eldon’s horses and her family. They moved from Coram to Half Moon in April 1952 and Helen commuted to Coram to finish her school year teaching there. Eldon had found work for F.H. Stoltz Lumber Mill at Half Moon. Helen’s fourth daughter was born in July 1952 (at Polson) Helen was once more a stay at home Mom. In early January 1956, Helen was forced back into the work force, but not as a teacher. Eldon suffered a near fatal heart Attack and was ordered to not work for a year. Helen had to have a full- time good paying job immediately, and Libby Montana was the best opportunity for that; she was hired in the office of J. Neils Lumber Mill. Eldon the love of her life had another (fatal) heart attack four years later on February 28, 1960. Helen was now a 42- year old widow with a seven-year-old child still at home to be raised. She had secure employment at the mill, however, had promotions (now St. Regis Timber Company office), and she retired in Libby after 25 years (In 1982). The mill had been sold to Champion International by then, and she was the head purchasing clerk with 100,000 dollars purchasing authority in her name. Helen remained single for 28 years then married Frank Bonneau, of Libby in 1988. They remained in Libby until 2003, when they relocated to Missoula Manor in Missoula, Montana; Helen was beginning to show symptoms of Dementia by then and needed assistance at times. Franks daughter moved in and was care giver to both of them in 2004. Frank passed away in July 2007. Helen suffered a bad fall and moved into Immanuel Lutheran Home in Kalispell, on November 1, 2007; she loved her new home-and new family! - where she was so loved and tenderly cared for 24/7. 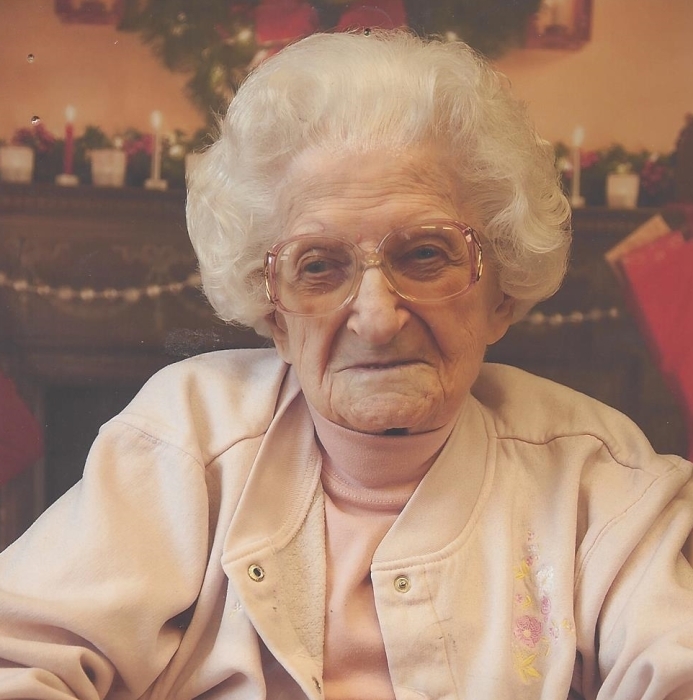 She participated in all activities, loved Bingo, and attended the in-house church and bible study, she enjoyed reading, and working on her word puzzles. Skipbo was her favorite card game with her oldest daughter along with dinners out and DQ ice cream. She was a devoted United Methodist Church member and very active in it from 1960-1988; after retiring in 1982, she ran the Libby Food Bank fulltime and established a “Crisis Center” to assist disaster victims. (Home fires, floods, ect.). She also loved playing in her League bowling games every week, and home parties with her single lady friends to play cards on Saturday nights. In Libby. Helen was proceeded in death by her parent’s, brother Lisle Huston, Sister Bernice Kershner, 2nd daughter Nancy Coverdell Ostheller, 3rd daughter Elda Rae Coverdell-Griffey-Petersen, husband Eldon R. Coverdell, Her in-laws Eldon’s parent’s sister Oma Wittwer and brothers Ralph, Donald, and Robert, plus granddaughter Kelly Marie Griffey- Greenfield -Pope, great grandson Kelly Greenfield, many nieces and nephews, son-in-law Donald R. Burns Sr. and Earl F. McLauchlin, then husband Frank Bonneau. She is survived by oldest daughter Norma McLauchlin-Burns of Kalispell, youngest daughter Janice Coverdell-Shanck, and granddaughter Lovelle in Tennessee, grandson Derrick (Cathy) McLauchlin Sr. and Eldon McLauchlin of Spokane, WA, Darrel Griffey Jr. of Pocatello, granddaughters Sue McLauchlin- Thorp of Kalispell, Corrie Ostheller (Lee) Munyan of Seattle area, Tracy Griffey- Bixby, and Dawne Griffey of Pocatello area plus 19 great grandkids, and 23 great great grandkids, and a great great great grandchild. She was much loved and a lifetime influence of good for the students she taught in grade school so long ago. She touched so many lives so positively! Graveside services will be in Polson at 3:00p.m. on August 31, 2018 where she will share a plot and headstone with her Eldon for eternity, in Lakeview Cemetery. Many Many Thanks to all the wonderful caregivers at Immanuel Lutheran Home during Helens nearly 12 years residing there. Friends are encouraged to visit our website at www.buffalohillfh.com to leave notes of condolences for the family. Buffalo Hill Funeral Home and Crematory caring for the family.